Hi, everybody! I am shrine maiden Yume. 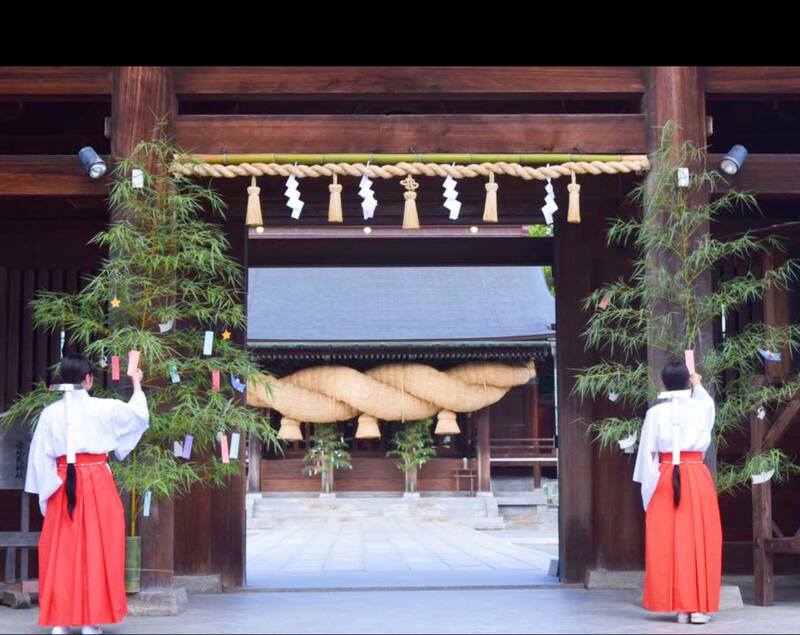 “Tanabata Prayer Festival” is going to be held in front of the Worship Hall of the Miyajidake Shrine and the Shrine of Love which is the rear shrine from Sunday, July 1 to Tuesday, August 7. It is fun to write prayers on strips of paper and tie them up on a bamboo grass. Orihime (or Vega) and Hikoboshi (or Altair) meet once a year on Tanabata. It is so romantic. On Tuesday, August 7, prayers are performed at the Shrine of Love on the strips of paper on which prayers are written. Your prayers will surely be realized if the god of matchmaking protects you.